A total number of 3 241 000 viewers saw Loreen take Swedens fifth Eurovision victory on Saturday night in Baku. This is the highest number of viewers since 2007. The winning song Euphoria looks like a massive success and is now topping the charts in several countries. Meanwhile several of the Eurovision participants are now charting in Sweden. 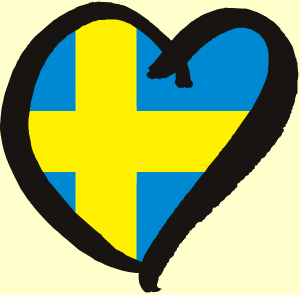 A total number of 3 241 000 viewers in Sweden watched the contest from the start to the end. The peak was during Loreens performance with 3 587 000 viewers. This could be compared with 2011 when a total of 2 880 000 viewers followed the contest from Düsseldorf.